Jamestown (IE) Interstate Engineering informs Jamestown Residents that due to James River tree snagging and cleaning, there is activity on the James River from the Jamestown Reservoir to the 1st Street SW Bridge. This work is expected to be completed by the end of October. Residents should be aware of equipment and personnel in the James River. 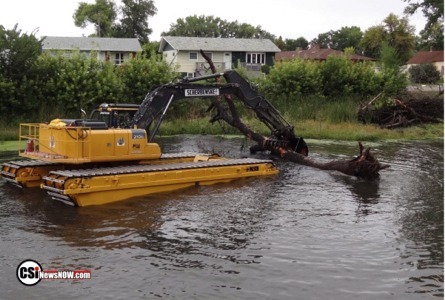 Traffic should be aware of construction operations in the areas where trees will be removed from the river. FOR MORE INFORMATION, PLEASE CALL BEN AASETH, AT INTERSTATE ENGINEERING, INC. – (701) 252-0234.